Earlier today, Dallas Smith inked a new U.S. record deal with Blaster Records through the label’s recent partnership with Big Loud Mountain. In celebration of the signing, the record-breaking Canadian country artist will release his new super-charged single “Kids With Cars” to Country radio this September and to digital retailers September 11. Produced and mixed by Joey Moi (Florida Georgia Line, Jake Owen), a preview of the high-octane song is now available on YouTube. "It's great to collaborate with the team at Blaster. 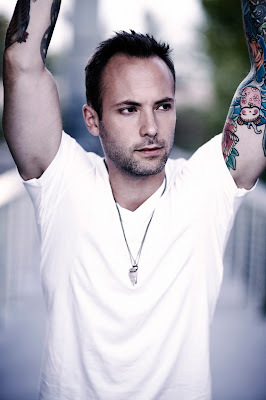 They are equally as passionate as I am," shares Dallas Smith. “I’m excited to continue to build on what we are doing and take it to the next level." The accolades continue to pile up for the Vancouver, British Columbia native as he will vie for four honors at the 2015 CCMA Awards - Album of the Year (LIFTED), Single of the Year (“Wastin’ Gas”), Male Artist of the Year and Fans’ Choice Award - and earlier this year, won the JUNO Award for Country Album of the Year (LIFTED). Smith is currently in the studio working on his first American full-length debut with longstanding producer Moi, who produced his prior award-winning Canadian projects JUMPED RIGHT IN and LIFTED. Previously touring with Florida Georgia Line, Smith has been tearing up U.S. roads playing major festivals and opening select shows for Keith Urban and Thomas Rhett. Fans can catch the blockbuster performer and former lead singer of the multi-platinum rock group Default at upcoming tour stops in Gardendale, TX (8/23) and St. Paul, MN (9/4 & 9/5). For tour dates and more information, visit DallasSmithmusic.com.